Duct Tape Craft for Young Adults 12-18 years old. 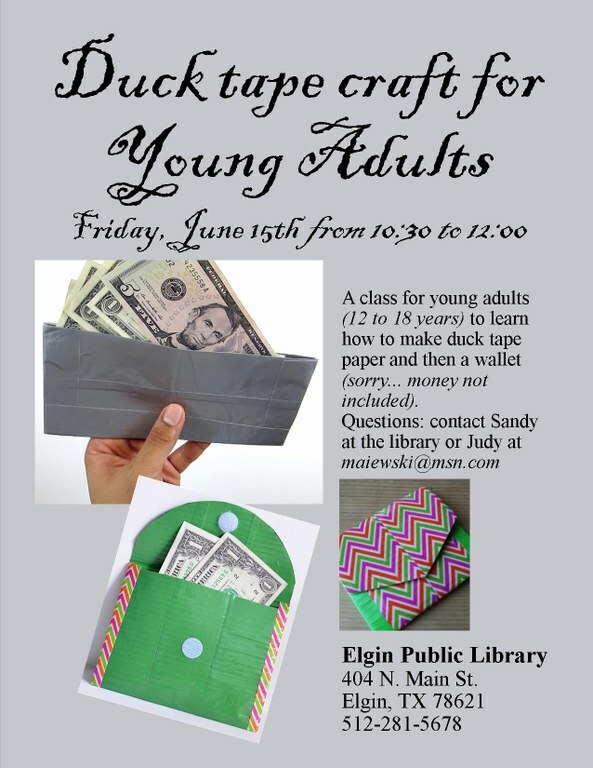 Class held at the Elgin Public Library on Friday, June 15, 2018 from 10:30 am to 12:00 pm. Attendees 12 to 18 years old welcome!